A very dramatic bloom and a cycle of life that provides beautiful foliage, makes the bromeliad plant a popular plant in the yard and indoors. 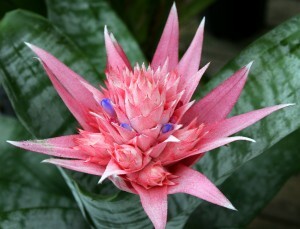 Surprisingly the bromeliad plant is related to Spanish moss, the pineapple plant and is native to the American tropics. In its native environment bromeliad plants will get their nutrients from the air and rain. They have a special root structure that it has developed so that it can attach itself to tree trunks, branches, and even rocks. These bromeliads are known as saxicolous. Many types of bromeliads are terrestrial and grow in the ground like most plants do. Amazingly each type of bromeliad can switch places and adapt to its new environment! It is also able to adapt to both indoor and outdoor environments. Plant enthusiasts are drawn to bromeliads because of their beautiful blooms. Mostly they are cultivated to grow indoors but will also grow well out doors in warm and humid environments. The bromeliad only blooms once in its life time, but with the variation in leaves, the it is still a good choice for home decor and gardens because it is an easy to grow plant that is hardy. With good air circulation and humidity, most bromeliad plants will flourish indoors. A bromeliad bloom can be one of a wide variety of colors from yellows to deep burgundies. When it is preparing to bloom, the leaves on the upper part of the plant will also change color, which will intensify the color and the appearance of the bloom. Once the bromeliad plant blooms the plant will focus on producing the next generation of bromeliads and “pups” will begin to sprout up around the plant. Some bromeliads may bloom more than once, but most plants cultivated for the indoor growing will have only one beautiful and dramatic bloom in a lifetime. A well cared for bromeliad will add beauty to any home or garden. Its “pups” can be transplanted to add to an indoor or outdoor garden. They can also be shared with friends or sold at swap meets. Bromeliads are also used extensively in interior plantscaping in lobbies, atriums, and offices. They are used for color rotations to add vibrancy to indoor plantings. 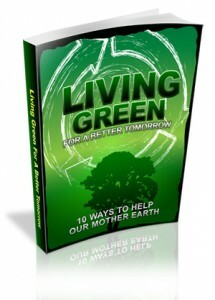 Growing Expectations uses them extensively in their plant designs. The main plant is called the mother plant. To answer your question of whether it will produce more pups is a “maybe”. The mother plant does not live forever and will die but your memory will live on in the generations of “pups” that follow. The “pups” need to be planted in a mixture of shredded tree bark and peat moss not potting soil. Remember, bromeliads in nature grow on trees not in the ground. Keep the mixture slightly moist at all times. Also always keep water in the center of both the mother and the “pups”.